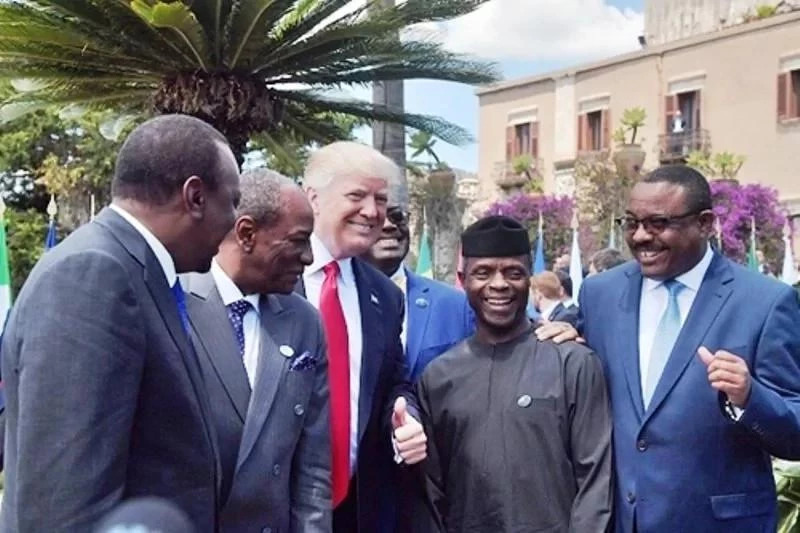 Osinbajo raises hope of better African future at G7 Summit – Royal Times of Nigeria. 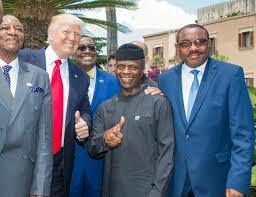 Osinbajo spoke at the G7 Summit special outreach forum on Africa with selected African nations and leaders including Nigeria, Guinea, Tunisia, Niger, Ethiopia and Kenya. “But the greatest reason for our optimism is in the incredible energy, talent and creativity of our young people, male and female who are completely undeterred by the failures of the past and are daily taking advantage of innovation and technology bringing about the Africa of our dreams,” the Acting President stated. Assuring the G7 countries of Africa’s increasing collaboration as never before in trade, counter terrorism and strengthening democracy, Osinbajo commended the seven most industrialized nations of the world for their support in the fight against Boko Haram terrorism, especially the US, France and the United Kingdom as effective partners in the Lake Chad basin. He attributed recent successes to the joint intelligent unit which as provided useful and timely intelligence in the war against terrorism. On the progress made so far in the country, Prof Osinbajo said that there is massive increase in rice yield over the past two years, distribution of fertilizer subsidies to farmers, who have also benefited from an e-wallet system which guaranteed that the subsidies actually gets to the farmers. He said the participants were recruited online in all states in the nation mostly using mobile phones, adding that participants will soon to receive their electronic tablet devices and can access an N-Power portal that contain required training materials for acquisition of more skills to carry out their duties. Other world leaders at the summit, besides leaders of the G7 countries included the Chairman of the African Union, United Nations, OECD, IMF, AfDB and World Bank. On the entourage,of the Acting President were Minister of Foreign Affairs, Mr Geoffrey Onyema, Special Adviser to the on Economic Matters, Dr. Yemi Dipeolu, the Nigeria Charge d’ Affairs in Italy, Mrs Bisi Meshioye.